It’s not everyday that you get to help with something truly special, but this is definitely one of those occasions. One of my test-readers, Nancy Barth, asked if I would take a look at a story her nephew had written. Not just any story. Her nephew, Matthew Schilling, is a young man with mild autism and a creative mind like no other. The Magic Quest is his story, an interpretation of the world most of us are convinced we have mastered, but are far from truly grasping. Matthew is very fortunate to have such a strong support network standing behind his dreams. I can attest to the fact that writing a book and publishing it is no easy task, and I know a considerable effort went behind The Magic Quest. Thank you for allowing me to be a small part of bringing Matthew’s story to publication. Ten Percent of the proceeds from the sale of this book are to be donated to the Easter Seals Central California Autism Intervention Program. 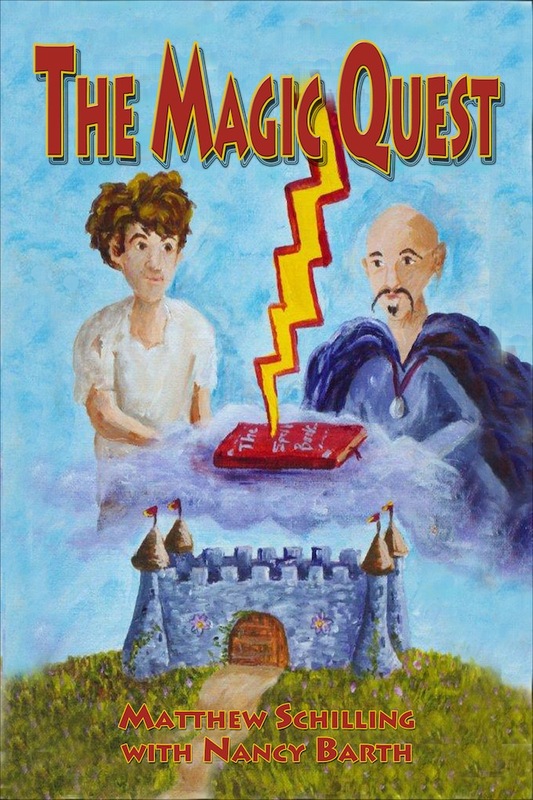 The Magic Quest is available in several formats and will be available in hard copy format shortly. Thanks, Steve! You have been a big support with this project. Matt and I appreciate it. 🙂 Now if you could just explain those Amazon rankings so that I could understand them!!! It has really been all my pleasure, Nancy. As for the rankings. The best thing to do with those is IGNOR THEM! Thousands of indie authors, spend hours each week trying to figure them out with little success. And when we start to make some sense of them, Amazon changes everything. Welcome to the Jungle. That’s what Christine said about the rankings! It was really my pleasure. I was so relieved and excited to see Christine’s announcement today. Your nephew should be so proud of his accomplishment. I think he is really happy about it. He’s working on a sequel now! Time Travel involved.